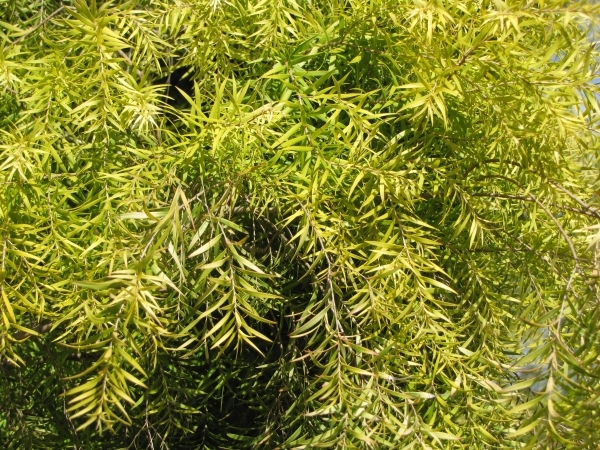 Upright, evergreen shrub or small tree. Lance shaped golden yellow leaves with red stems. Numerous white brush flowers appear in summer. Excellent landscape specimen or hedge.